For Metal, shingle and tile roofs. Use as part of an elastomeric waterproofing system that uses our Therm-X Basecoat Sealant followed by 2 coats of Roof Seal Premium for a permanent, watertight, storm-proof roof! It’s our incredible “SELF-CROSSLINKING”, Bright White, Water-Tight, Rubbery Coating that prevents roof leaks and stays flexible and watertight for years. It contains extra Bioquell™ to fight off the damaging effects of mold, mildew, fungus and algae. 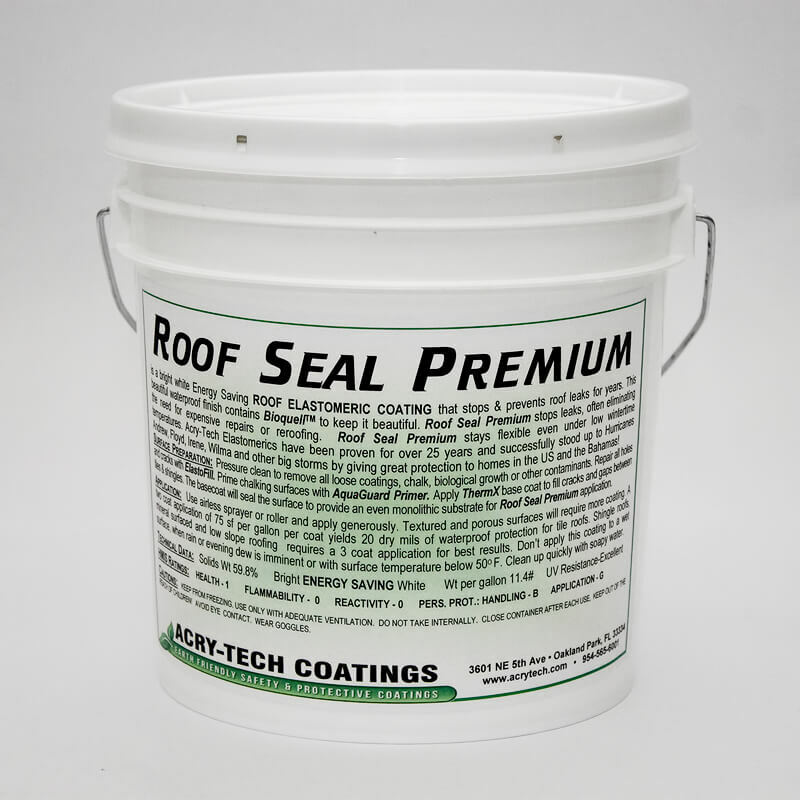 Roof Seal Premium stops leaks, often eliminating the need for expensive repairs or reroofing. Unlike some so-called elastomerics, Roof Seal Premium stays flexible even under low wintertime temperatures. Acry-Tech Elastomerics have been proven for over 24 years and successfully stood up to Hurricanes Andrew, Floyd, Charley, Frances, Ivan, Jeanne, Katrina, Rita, Wilma, Irene and Sandy by giving great wind and water resistance to thousands of homes in South Florida and the Bahamas! Use it on Cement Tile, Barrel Tile, Shingle or Metal Roofs for long lasting protection at a low, low cost and dramatically higher durability and performance than “Home Store” brands. 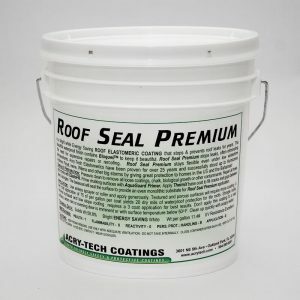 Acry-Tech’s aggressive research has designed this product with a unique and Revolutionary “Self Cross-Linking” Technology that makes Roof Seal Premium vastly TOUGHER & MORE WATERPROOF than the competition! Pressure clean to remove all loose coatings, chalk, biological growth, oil, rust or other contaminants. 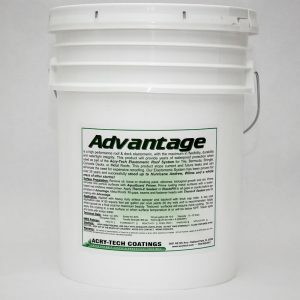 Prime chalking or porous surfaces with Acry-Tech’s AquaGuard Primer. Prime rusting metal with Metal Primer WB. Apply Therm-X elastomeric basecoat to fill cracks and gaps between tiles, on shingles & for the seams and fasteners on metal roofs. Therm-X, a flexible, lightweight and easy to use basecoat will seal the surface to provide an even monolithic substrate for application of Roof Seal Premium. Therm-X with over 700% elongation is the ultimate basecoat for Roof Seal Premium. Use airless sprayer, brush or roller and apply generously. Textured and porous surfaces will require more coating. A two coat application rate of 80 sf per gallon per coat yields 20 dry mils for great water tight protection for cement tile roofs, shingle and mineral surfaced roofing. A three coat application is recommended for low slope roofing. Metal Roofs are well protected with a heavy coat of Roof Seal Premium after fasteners and seams have been sealed with Therm-X. 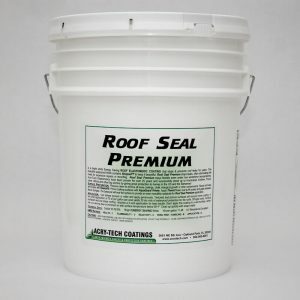 Use Roof Seal Premium as the topcoat over our other roof elastomerics or use it as the base and topcoat for simplicity. 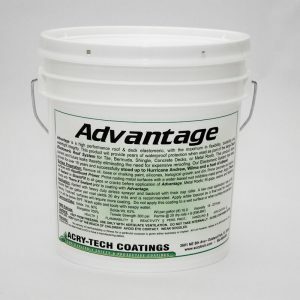 Do not apply this coating to a wet surface, or when rain or dew is imminent. Do not apply when surface temperature will be below 50O F. Wash spills and tools immediately with soapy water. No blanket warranty of merchantability or fitness for a particular purpose is given either expressly or implied. ACI will warrant product on a job basis through authorized dealers with prior approvals from ACI.